Jerad Eickhoff will get the start in Triple-A Lehigh Valley's season opener on Thursday against Rochester. ALLENTOWN -- The strength of the Lehigh Valley IronPigs is starting pitching, so much so that a five-man rotation isn’t big enough for the Phillies’ triple-A affiliate. During media day at CocaCola Park on Monday, IronPigs manager Gary Jones said that the team will employ a six-man rotation. 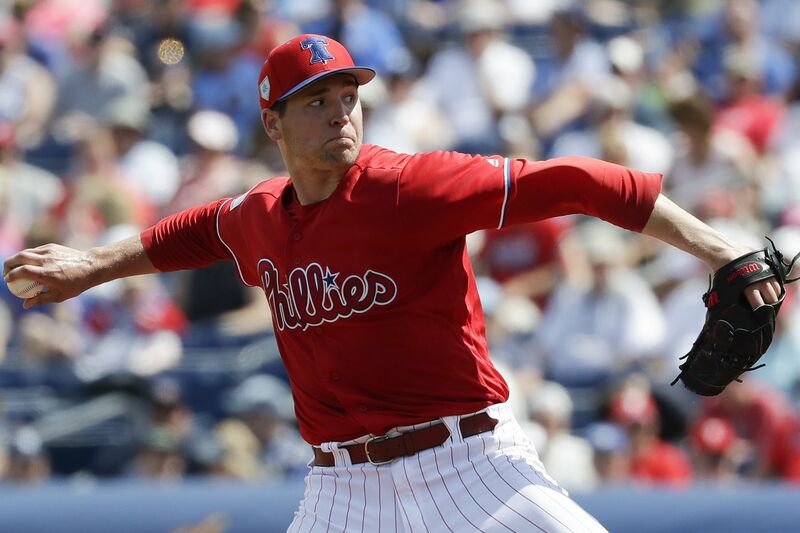 Jerad Eickhoff, who threw just 31 minor-league innings and 5 1/3 innings with the Phillies last year and then had carpal tunnel surgery in October, will be the starter in Lehigh Valley’s season opener Thursday against Rochester. Eickhoff, who has pitched 381 2/3 innings for the Phillies, will be followed in the rotation by last season’s International League pitcher of the year, left-hander Cole Irvin. The rest of the rotation will consist of right-handers Enyel De Los Santos and Drew Anderson and left-handers Ranger Suarez and JoJo Romero. De Los Santos, Anderson, and Suarez also pitched last season for the Phillies. Romero, 22, is the only member of the rotation who hasn’t pitched at the triple-A level. His season at Reading ended in July when he suffered an abdominal injury. He went 6-2 with a 2.53 ERA in his last 10 starts.